A dental implant is an artificial tooth root that is placed into your jaw to hold a replacement crown, bridge, or denture. Dental implants are an excellent choice for replacing lost teeth. 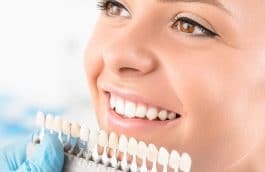 Dental implants could be the best option for restoring your chewing, speech, and smile from tooth loss. More than 30 million Americans are missing all their teeth in one or both of their jaws. Over 3 million people have dental implants and this is increasing by a half of a million people each year. Dental implants have the advantage of looking and feeling like natural teeth. Their esthetics or looks can fool most people into never knowing that they were missing a tooth. Another advantage is that when replacing a missing tooth, the tooth next to the implant does not need to be touched unlike in a fixed bridge procedure where the teeth on either side of the space need to be reduced. One of the best advantages is that dental implants are very reliable. They will be around for a long time. Although there are several steps in the implant procedure, the entire process is very easy to go through. The first step in the implant procedure is opening the gum tissue and exposing the bone. The implant then gets placed into the prepared area and the tissue gets a few stitches. The stitches are removed about 7 days .The area then requires a period of healing which can be anywhere from 3 to six months. This healing period allows for the bone to form around the implant which is called osteointegration. The implant has an attachment called a post and this is placed after the gums are healed which is about 2 to 6 weeks . The last step is when an impression is taken which is after the healing period (3-6months) and a crown is made. 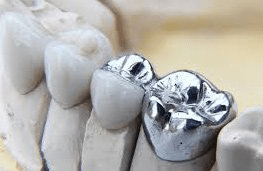 The crown is then cemented over the implant and the procedure is completed. 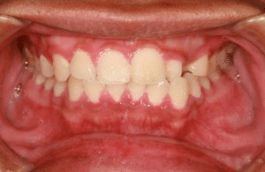 Dental implants have been found to be very successful. Studies have shown that there is a 95% success rate of lower implants and a 90% success rate of upper implants. The upper jaw bone has slightly less dense bone so the success rate is slightly lower. Dental implants mostly fail from the bone not healing into the implant which again is called osteointegration. 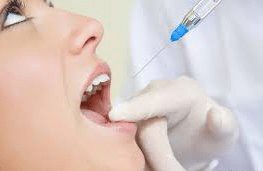 Dental implants can also become infected like natural teeth. Those that smoke also have a lower percentage of success with implants. Although you will not get a cavity on your implant, you can still get infected bone around the implant from poor oral hygiene. The most common type of dental implant is placed directly in the bone. The dental term for this is an endosteal implant. This is typically made of titanium and the shape is similar to a tooth root. 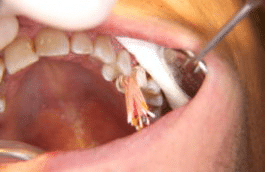 Another type of implant is the sub- periosteal implant. This type is placed over the jaw bone because this patient doesn’t have enough bone for the endosteal type. Other less common implants are the plate implant, the ramus implant, and the transosseous implant. These are all very rarely used. You should expect to have a tooth that feels like your natural tooth. 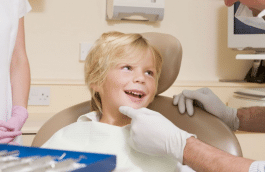 The implant tooth may feel slightly different when tapping on it. 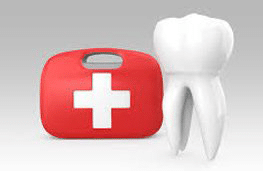 You should take care of it with the home care just like you would with your natural teeth. 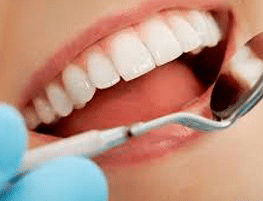 Brushing and flossing is very important to maintain the health of implants.